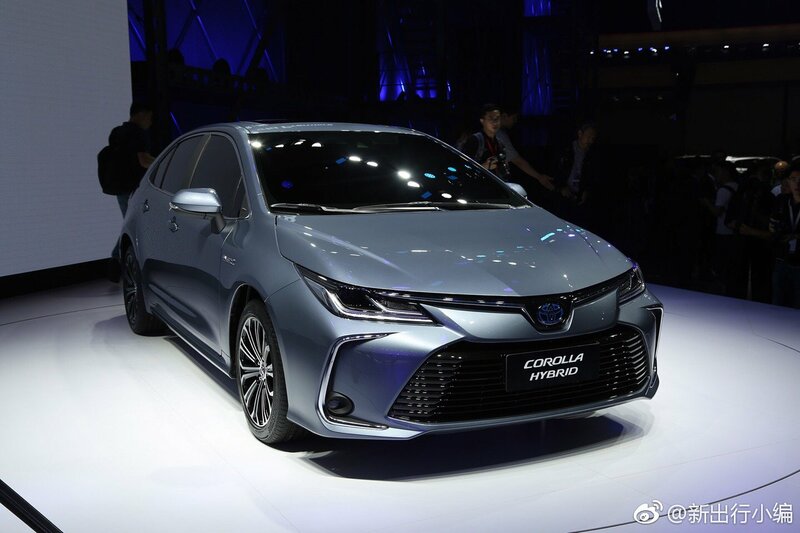 Toyota Motor has lifted the veil off the TNGA-based 2020 Corolla sedan at the Guangzhou Auto Show in China. Here are its official video and live images. The all-new Toyota Corolla sedan is now a lot sharper and aggressive. We are looking at the elegantly designed ‘Prestige’ variant, and there’s a ‘Sporty’ variant too, which, in China, is sold as a separate model (all-new Toyota Levin). At the front, the wider chrome grille flows into the new angular full-LED headlamps. A single-piece grille and bumper with a large C-shaped chrome detail at its outer ends give a butch look to the front-end. Viewing from the sides, the 2020 Toyota Corolla sedan has a more conventional beltline and a rising character line starting from the front wing. The roofline is flattish towards the rear, which isn’t the case in the outgoing model and is aimed at giving the Honda Civic rival a dose of traditional styling. The 12th generation Toyota Corolla sedan is 10 mm longer, 5 mm wider and 45 mm lower than today's car. At the rear, the tailgate has a sportier design at the top, lending the impression of a rear spoiler. The bumper is undeniably more athletic, just like at the front, and the slimmer LED tail lamps are connected via a chrome strip. All in all the exterior is expressive and youthful. The interior is in the same clean and minimalistic design as the hatchback and estate. However, in China, Toyota will offer a 12.1-inch portrait touchscreen infotainment system flanked by vertical air centre air vents. The redesigned model is safer, thanks to the inclusion of Toyota Safety Sense (TSS) suite of advanced safety technologies. TSS for this sedan comprises Pre-Collision System, Dynamic Radar Cruise Control, Lane Tracing Assist and Automatic High Beams. 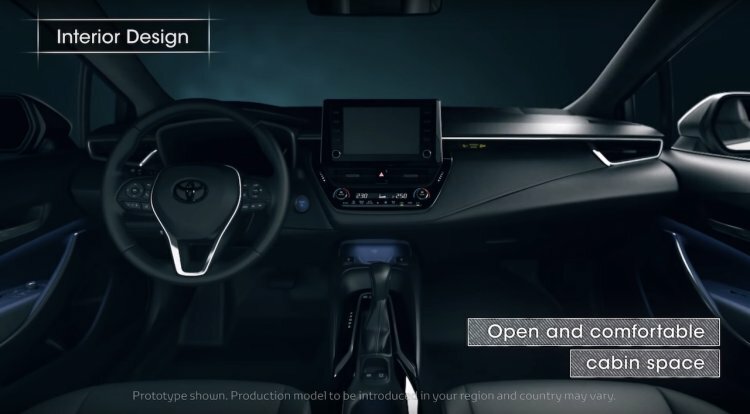 The 2020 Toyota Corolla sedan's has a clean and minimalistic interior. 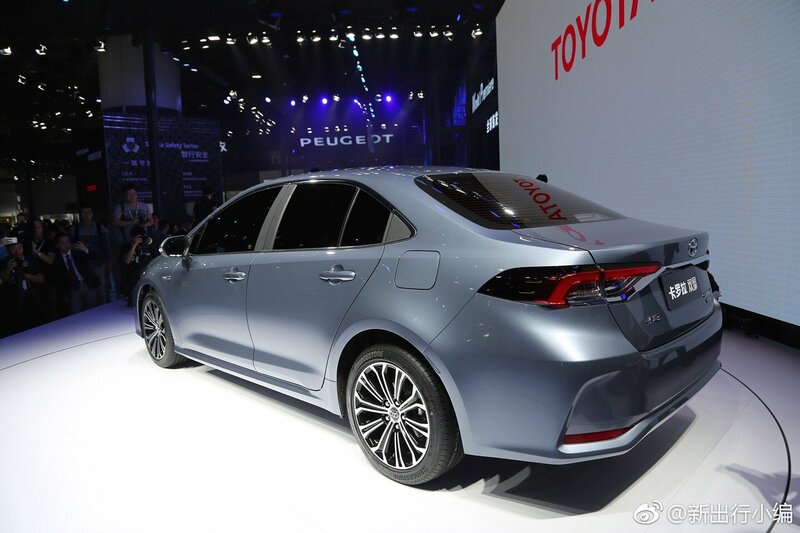 The 2020 Toyota Corolla sedan measures 4,640 mm in length, 1,780 mm in width and 1,435 mm in height. Compared to the outgoing model, it is 10 mm longer, 5 mm wider and 45 mm lower. The wheelbase, at 2,700 mm, has remained unchanged. Powering the 2020 Toyota Corolla sedan is an all-new 180 PS 2.0-litre petrol-electric full-hybrid powertrain based on TNGA, the same unit that is available in the hatchback and estate versions. Powertrains may vary as per the region. In the U.S.-spec version, for instance, customers will have the option to go for an upgraded version of the old model’s 1.8-litre petrol engine and an all-new 2.0-litre Dynamic Force petrol engine, also based on TNGA. No matter the design and styling, the 12th Toyota Corolla sedan uses the same platform (GA-C) globally. The 2020 Toyota Corolla sedan will go on sale internationally in spring 2019. The Chinese launch will take place after the middle of the same year. Japan will get the all-new sedan and estate based on the Sporty variant, within the same year.